Petty Officer Trey DeBolt serves as a rescue swimmer from his Coast Guard base in Alaska. A helicopter crash on a recent rescue mission leaves him badly injured and he is officially declared dead. Strangely, DeBolt finds himself alive in a remote seaside cottage in Maine, thousands of miles from the accident. The nurse who brought him to the cabin explains that he has undergone surgery that not only saved his life but made him different. Before she can explain further she is brutally murdered. DeBolt avoids the same fate by utilizing a strange vision and his water rescue skills to escape. Alaskan based Coast Guard investigator, Shannon Lund, learns that DeBolt may still be alive and becomes involved. Although having only met Lund on two occasions DeBolt soon finds she is the only person he can trust. As DeBolt runs for his life he discovers other images and unexplainable skills that aid in his ability to stay alive. He and Lund soon discover that they are deeply involved in a government conspiracy so controversial that the people involved will stop at nothing to keep its secrets. As is typical with author, Ward Larsen, the characters are great, the plot is great and the action is non-stop. Larsen also adds some new ideas to technology advances that will leave the reader thinking about its real world possibilities and dangers. The ending lacks the finality one would expect which leaves the reader hoping for a sequel that further probes DeBolt’s new skills. 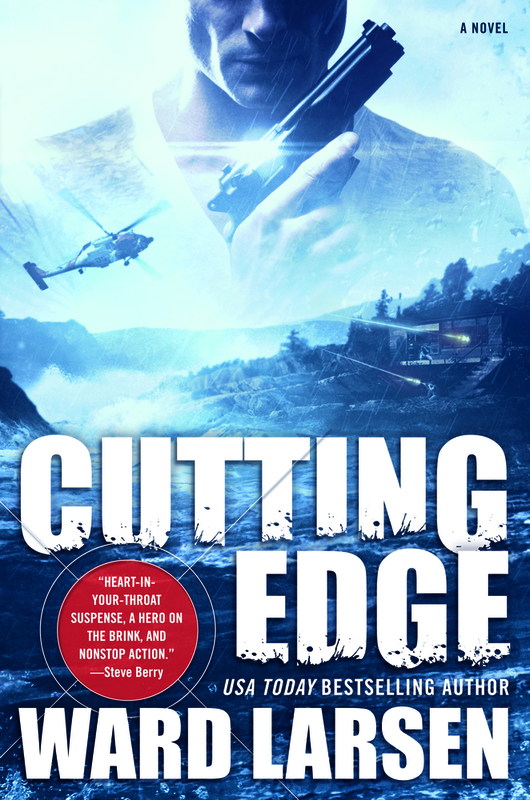 CUTTING EDGE is a high energy thriller full of suspense that keeps Ward Larsen at the top of this genre and is a must read for Larsen fans. I like great characters and non-stop action!